May, 2017: Caroline Trippel named as 2017 NVIDIA Graduate Fellowship recipient! From 2013 to the present, our work on specifying, verifying and translating memory consistency models has led to a number of publications, tool releases, and industry adoption. Fundamental deficiencies in the draft specification of a widely-discussed instruction set architecture (more info). An error in the consistency implementation for a widely used simulator (more info). A corner case in a proposed lazy coherence method (more info)(updated spec). 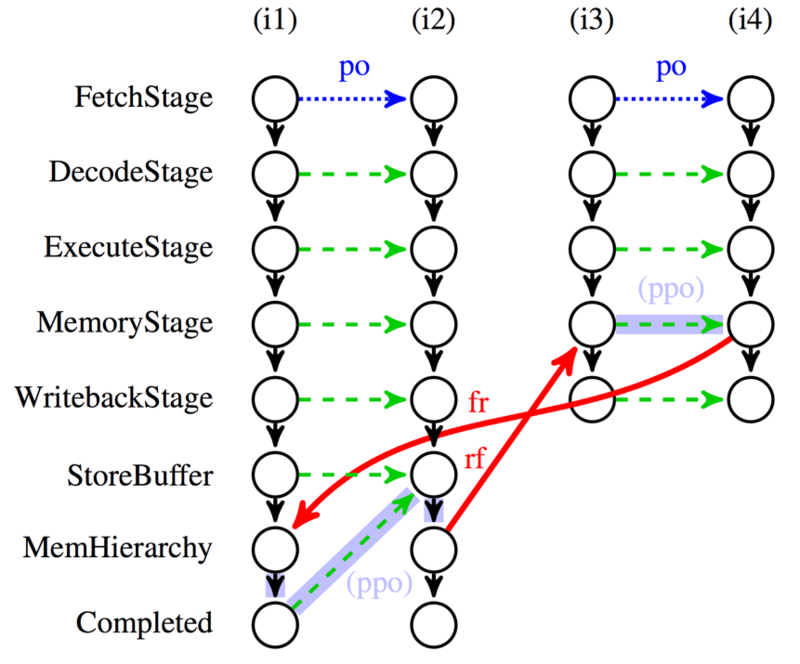 Errors in compiler mappings for translating high-level synchronization primitives onto particular instruction sets with weak memory model. 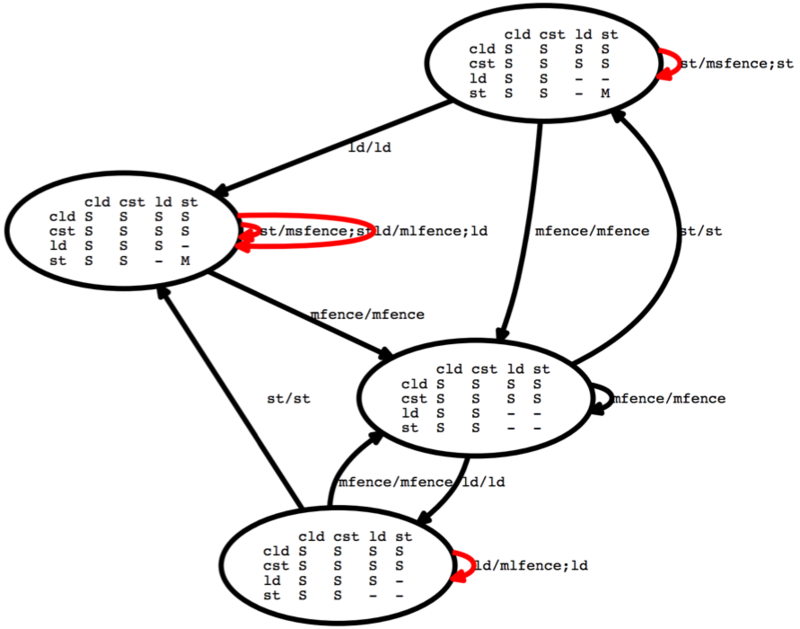 And, an error in the formal proof previously thought to ensure the correctness of those mappings (more info). An error in the RTL implementation of memory in an open-source processor. (more info). Beyond these concrete bug discoveries, our tools have also been used to reproduce other known bugs and deepen understanding of them. Design and Reuse. "RISC-V: When a bug really is a feature"
Our work has been supported in part by the National Science Foundation*(under grants CCF-1117147, CCF-1253700, and others). (Any opinions, findings, and conclusions or recommendations expressed in this material are those of the author(s) and do not necessarily reflect the views of the National Science Foundation. In addition, we acknowledge past or ongoing support from CFAR, DARPA and others. The provided papers are subject to copyright by ACM, IEEE, or other entities. We will be giving a tutorial about our tool suite on Saturday June 22, 2019 at ISCA in Phoenix. The tutorial webpage will be updated with slides and demo materials.